Got an idle exercise machine? Ward Elementary is starting a new “Read and Ride” program this year for students to get stronger and smarter. 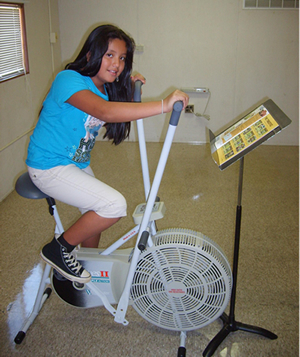 Children will ride exercise bikes while reading fun magazines and books. Their goal is to have 30 bikes so teachers will be able to have one for each student to read and ride at the same time. “Right now we have 18, so we only need 12 more,” says Scott Ertl, school counselor. If you have an exercise bike that you are willing to donate to the program, contact Scott Ertl at 774-4674. If you are unable to bring it to the school, they will be able to pick it up. Also, if you have children’s magazines (Ranger Rick, National Geographic, Highlights, Boy’s Life, etc.) please bring them to the school.